This is the first public meeting of the FDOT process that will ultimately decide the fate of our Calle8 corridor. Will it be a complete street with wide sidewalks, safe crossings, calmed two-way traffic and dedicated lanes for pubic transit and bicycles? 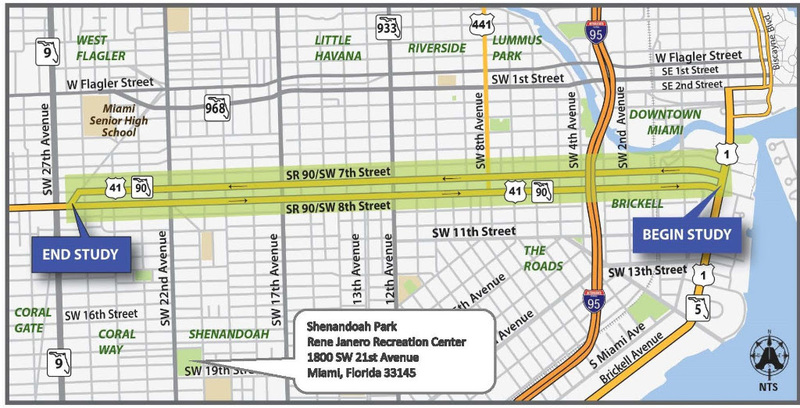 Or will it be more of the same “Highway Ocho” with three lanes of one-way speeding traffic that serves suburban commuters, not Main Street Little Havana. This is your opportunity to gather for an open house at 5:30 p.m., then a 6 p.m. public presentation by FDOT’s project manager and consultant team, led by the HNTB firm. 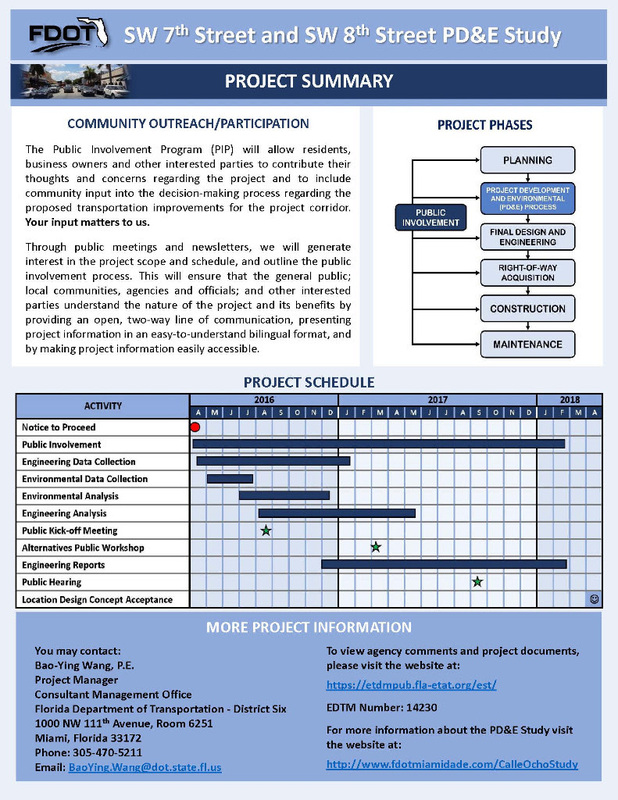 This project will last into 2018, but this is the first opportunity for community input. This is our opportunity to help the FDOT team to understand what we expect for the future of the Calle8 corridor.